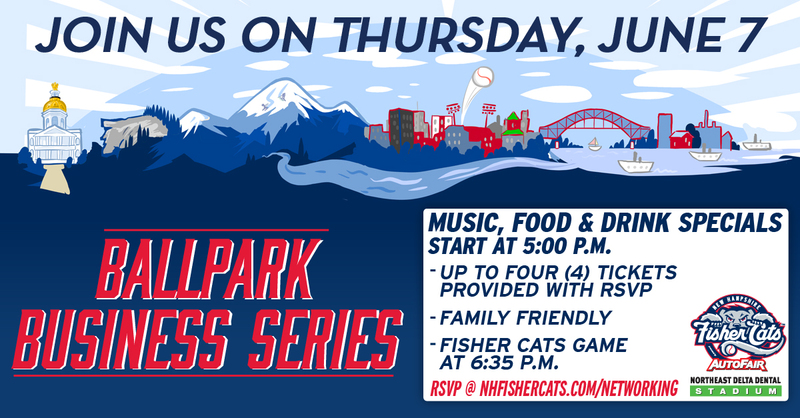 Register now for the Fisher Cats Ballpark Business Series Mixer on Thursday, June 7. Tickets are complimentary for chamber members and your guests making it a great opportunity to host colleagues, friends or family at a game! Enjoy free hot dogs, raffles, tours and drink specials in the Samuel Adams Brewhouse starting at 5:00 p.m. The game’s first pitch is at 6:35. Get your complimentary tickets at nhfishercats.com/networking.